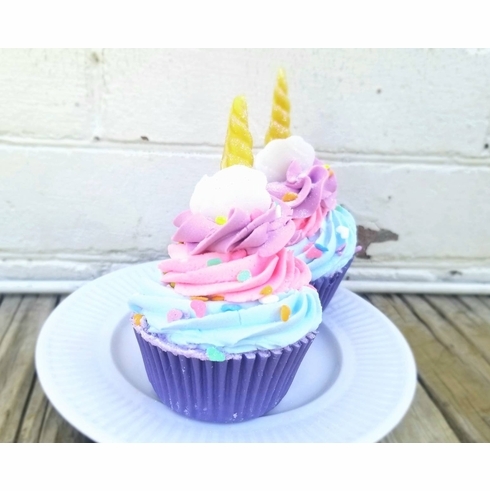 This unicorn-inspired bath bomb has pink, purple, and mint piping with rainbow heart sprinkles and a glittery gold horn. It is scented in a fruity berry fragrance. Great as a stocking stuffer or fun gift. Or just treat yourself to a fun unique bath experience. It comes in a cute cello bag tied with a ribbon and is ready for your gift-giving. Weighs approximately 6.5 oz. and is made with apricot kernel oil.